Silk is a beautiful material. 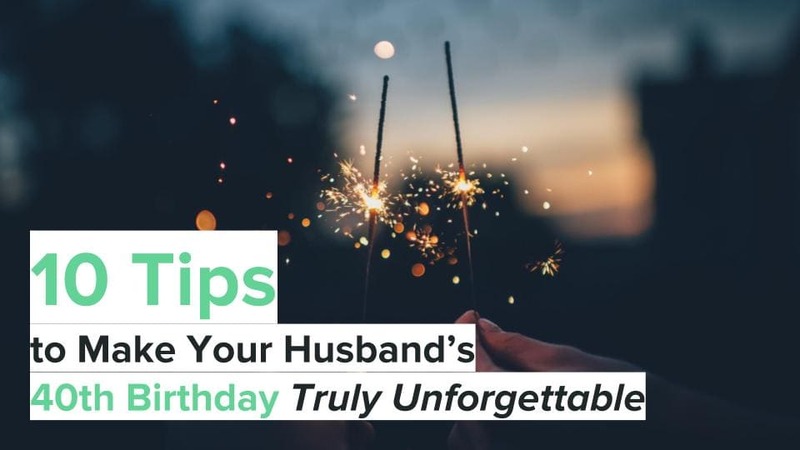 As you approach your fourth wedding anniversary, it is the material that represents those years as a married couple. 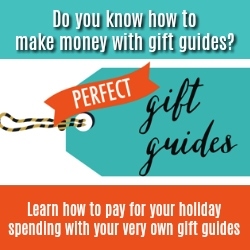 The gifts in this list are not only a great starting place, but are pretty and can be really fun too. 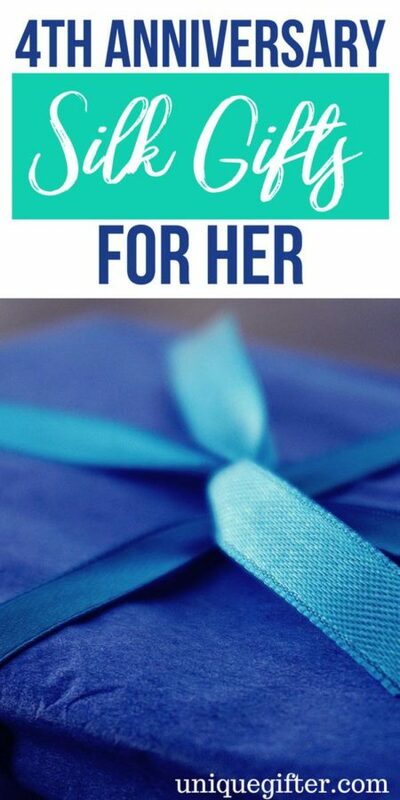 Let her know you are thinking of her on your anniversary in a fun and creative way. 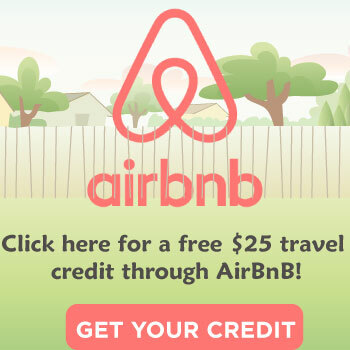 Why not with the clasic silk anniversary gift, that has a modern twist. 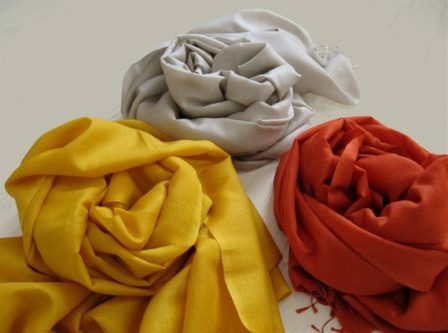 This silk wool scarf comes in three color choices, so it can fit your wife’s personality even more. 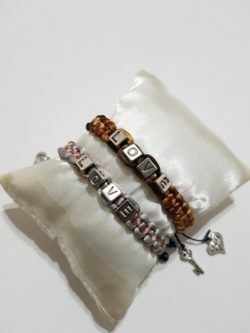 “Love” is part of your everyday vocabulary, so why would it not be a part of her jewelry too? 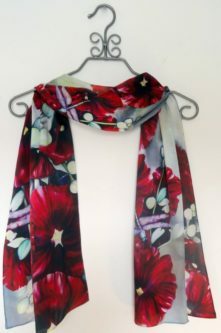 A red hollyhocks silk satin scarf will top off her outfit. 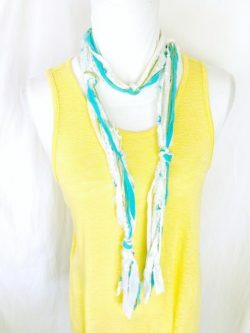 This beautiful turquoise rose pattern looks great on the summer silk scarf, and wearing a scarf during the summer is so much easier without getting overheated. A very unique and pretty pattern to go with any purple or blue blouse that complements it. If there is a quote that you often say to her, or you two say to each other, put it on this decorative silk pillow and it becomes a keepsake. 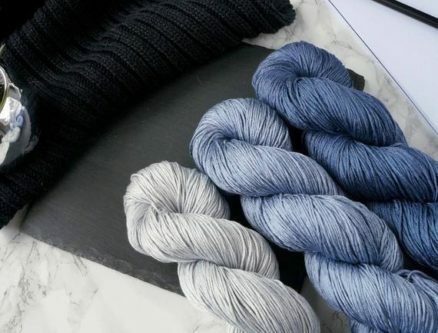 For the wife who loves to knit or sew, these silk gradient yarns make a wonderful gift. Watch what she makes with them! 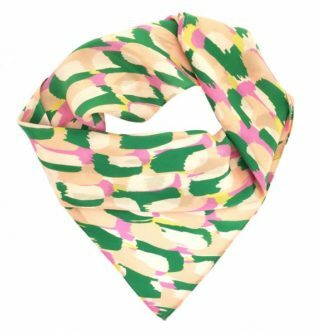 A little wild, maybe, but this brush strokes abstract painted scarf is certainly unique and eye-catching! Whether she is going out or hanging out at home, these Donna silk dye pants look rather comfy. 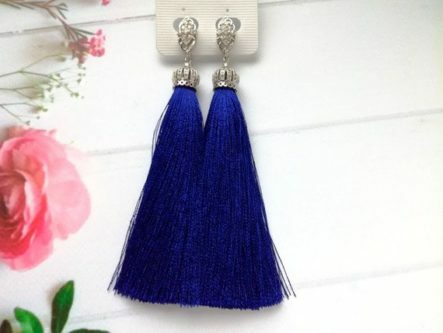 Her ears will look like they just graduated with the blue silk tassel earrings hanging from them. 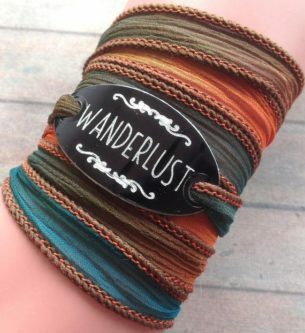 If you both, or just her, have “wanderlust,” she definitely needs this silk wrap bracelet. 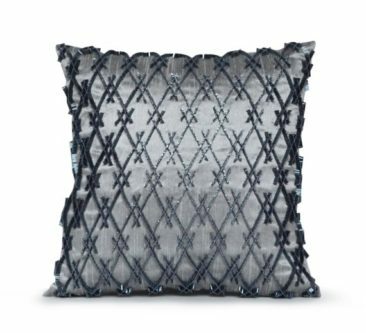 A pure silk beaded pillow to put on your bed that already has so many pillows on it! 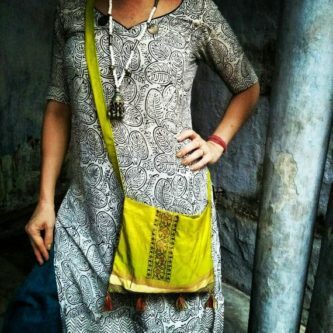 If she loves sari bags, she will love this one that is made from silk for your fourth wedding anniversary. 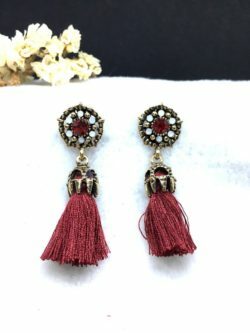 Similar to the blue tassel earrings, these ruby silk tassel earrings will go with a different color scheme outfit. 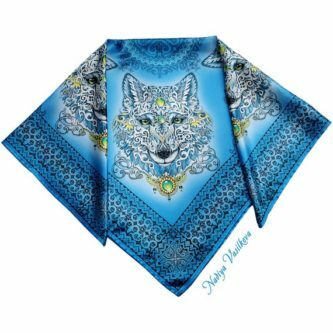 For the wife who loves wolves, a square silk scarf with a wolf on it is just what she needs to complete her outfit. A simple, yet absolutely beautiful, dress to wear for summer. 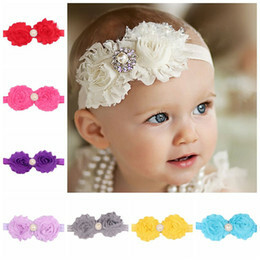 It will look stunning on her! 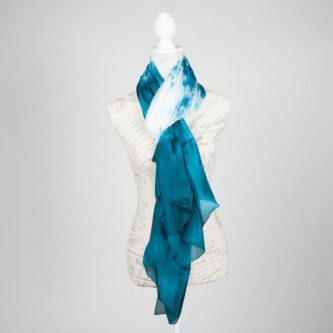 The unique pattern on this colorful blues square silk scarf makes it so versatile. 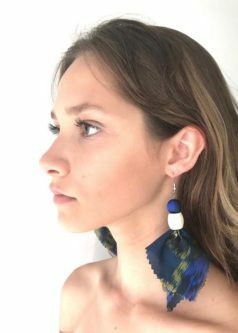 A slightly different variant on the color blue for these royal blue silk tassel earrings, and they go with a whole new set of clothes. 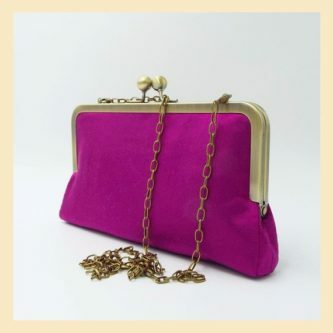 Your wife will love taking this fuschia pink silk shoulder clutch wherever she goes, as it is lighter than a traditional purse. 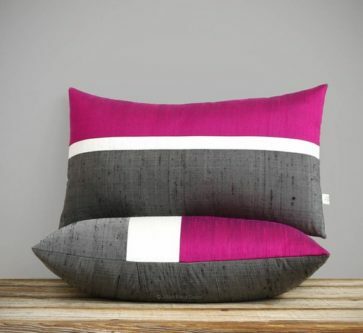 She will squeal when she sees how magnificent the fuschia, cream, and charcoal silk horizon line pillow covers look on your bed. So many lovely silk gift choices to choose from for your wife on your fourth wedding anniversary, scarves, pillows, and so much more.